In late September, we will release our third LP . Titled “Pleasant Living in Planned Communities”, this album’s cast of desperate characters includes a downed airman in WWII Europe, a 21st Century soldier returning home from battle, and a transient gay hustler whose youthful looks are weathering with age. 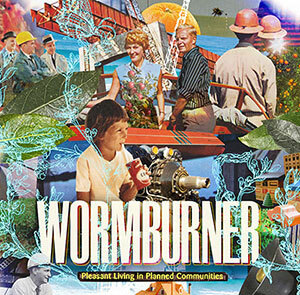 Recorded in too many locations to name here, “Pleasant Living in Planned Communities” bristles with a heightened urgency not captured on previous Wormburner recordings. Yet somehow this album goes down smoother, the executions tighter, and the performances elevated courtesy of guest appearances by ace guitarists Sean Eden (Luna) and Paul Carbonara (Blondie). To celebrate this milestone, we will play a record release show on Friday 9/26 at New York City’s beloved Mercury Lounge. Tickets are already on sale. See you there! Record Release Date – September! Our third LP will be released in September 2014! More details to come, but mark your calendars for a Friday 9/26 record release show at New York City’s beloved Mercury Lounge. Tickets are already on sale. Get ’em while you can, because our last Mercury Lounge show sold out. We are just about wrapped up recording our third LP, due for release in the Fall. To celebrate the end of the recording process, we’re playing a New York City show on Thursday June 5th at Santos Party House on Lafayette Street just south of Canal Street. It’ll be a double-bill with the mighty Chris Campion. Chris will be be backed up by a full-on electric band playing a set of songs from his forthcoming solo record. We plan to debut some new material from our forthcoming LP as well, and of course the nite’s gonna end with a hootenanny-style set of anything-goes cover tunes. It’s Record Store Day, and there’s a lost Wormburner B-side included on a Record Store Day compilation CD available at record shops throughout New England. For those of you not in New England, pick up the song for just 99 cents in the at iTunes Music Store. Or just stream it below via Spotify. It’s an alternate version of “Jersey Central Power and Light”, which has been a staple of Wormburner live shows in recent years. We’ve been holed up in the studio putting the finishing touches on our third full-length record, due for release later this year. Follow the progress on Facebook, Twitter and Instagram. What a year! 2013 was one of our greatest to-date. We got to play New York shows with some of our heroes including Violent Femmes, Old 97s , and Bill Janovitz (of Buffalo Tom). 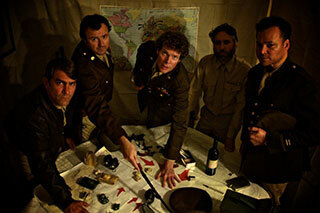 We toured the mid-Atlantic states and released a new 7-inch single featuring a guest appearance by Sean Eden of LUNA. And the year ended with a huge outpouring at a SOLD OUT Mercury Lounge. We’re gonna hole up in the studio now and finish recording our third LP. The 2014 release-date is TBD. Many thanks to our friends and fans for all the support. Keep checking back for updates on the recording process and upcoming shows. Brooklyn Vegan served up some nice coverage of our recent show with Violent Femmes at Roseland Ballroom. Click here for some great photos courtesy of Kurt Christensen. Next up is our annual Christmas show at Mercury Lounge, featuring a headlining set by Wormburner followed the original Yule Dogs closing out the night with a set of holiday sing-alongs. East River Bandits and of course Lifeguard Nights are on the bill as well. As always, special guests will abound! It all happens Thursday December 19th. Get your tickets in advance. This show will sell out. On Thursday November 14th, we will open for Violent Femmes at Roseland Ballroom in New York City. This is the Femmes’ only area appearance, and it’s a make-up date for the Central Park show that was canceled in September due to rain and flooding. Tickets purchased for the Central Park show will be honored. You must present original tickets with valid ID. We’ve got a new single out on Negative Fun Records. You can preview and order the A-side and the B-side right here. Each vinyl copy comes with a free download code. Or if vinyl isn’t your thing, you can purchase the songs a la carte in the iTunes Music Store. Our recent Brooklyn show featured a guest appearance by guitarist Sean Eden of LUNA. Sean joined us onstage for a rippin’ live version of our new song “Parliaments on Sundays”. Click here for some great video footage. Sean Eden also played guitar on the recorded version of “Parliaments on Sundays”, available now in the iTunes Music Store.